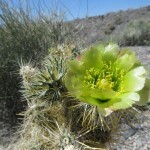 The Amargosa Basin is home to several endemic, unique, or charismatic plant and wildlife species. 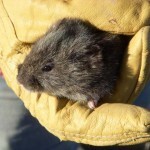 The Amargosa vole (Microtus californicus scirpensis) is a small wetland mammal that is related to the California vole. 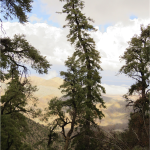 Evidence shows that as the Amargosa Basin became more and more isolated geographically from the more widely-distributed species, it gradually adapted to become its own species. 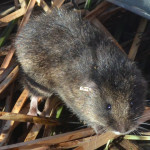 The Amargosa vole is dependent on a plant known as American threesquare bullrush (Schoenoplectus americanus syn Scirpus americanus, S. olneyi). 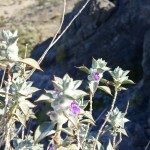 Threesquare grows in small patches in parts of the Basin, though over the years as human activity in the region increased, the habitat for this plant became more and more rare. The U.S. 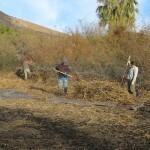 Fish and Wildlife Service has brought extensive financial and personnel resources to bear to fund and permit recovery projects. 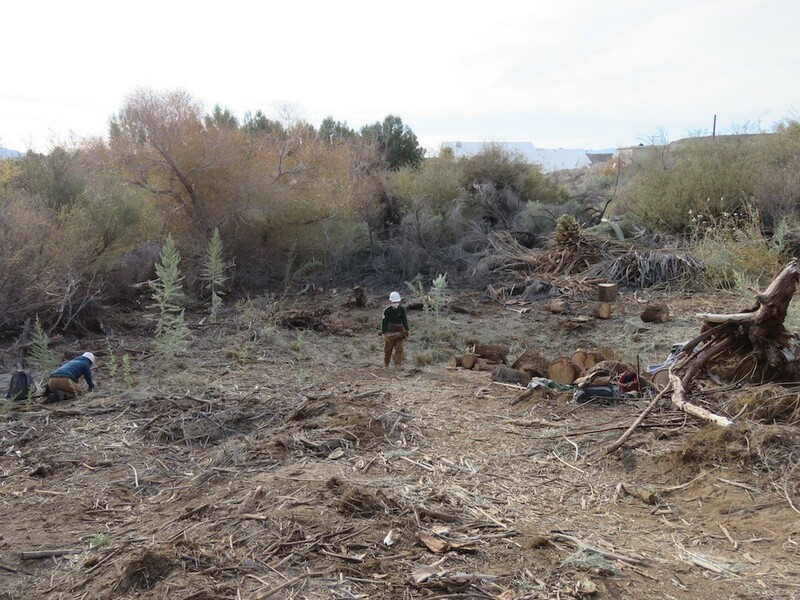 The Bureau of Land Management has prioritized the vole on land it manages, and helped facilitate recovery projects on private land as well. 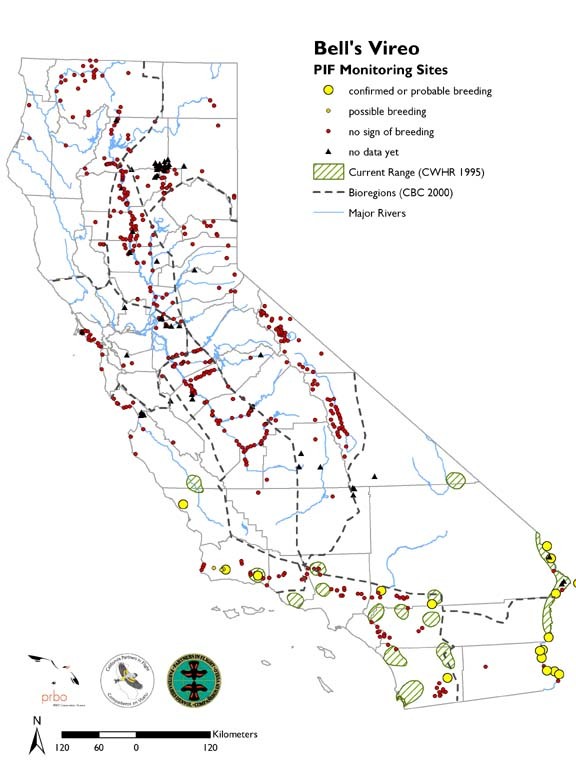 The California Department of Fish and Wildlife has provided technical expertise and taken the lead on range surveys. 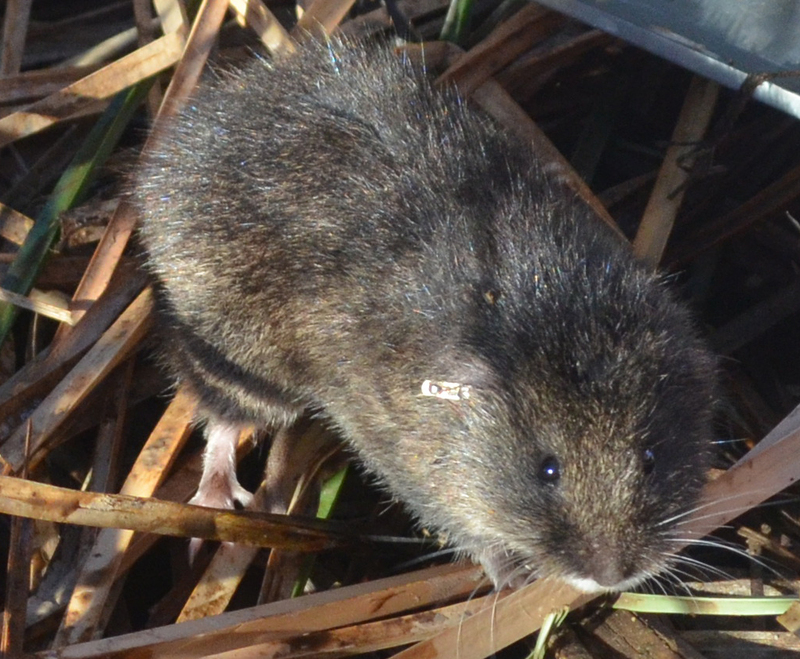 The UC Davis School of Veterinary Medicine is host to the captive breeding colony, where new voles are being bred to give the species a head start in recovery. Check out their amazing work and follow them on Facebook. 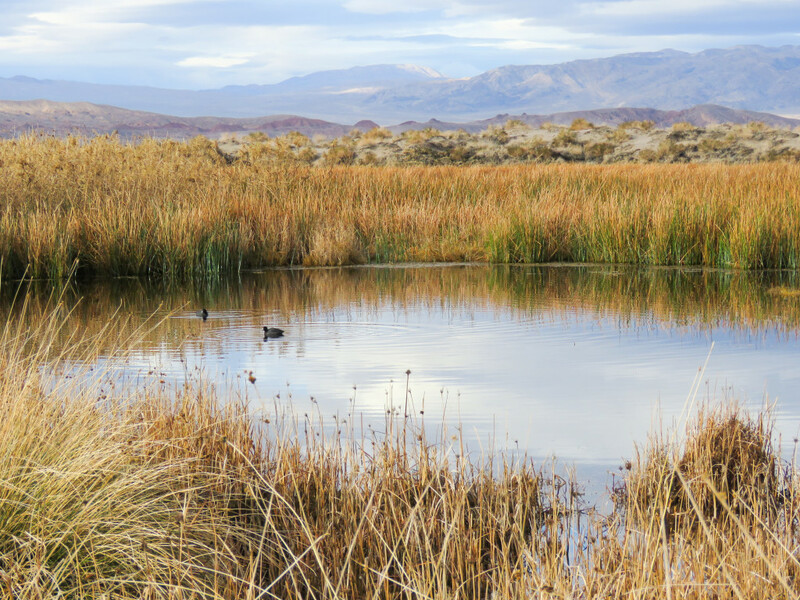 The University of California – Berkeley and Purdue University are conducting genetic analysis to better understand what makes the Amargosa vole a distinct subspecies. 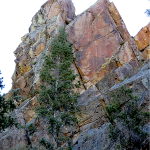 The United States Geological Survey conducts range surveys and is currently working on a predator exclosure study. 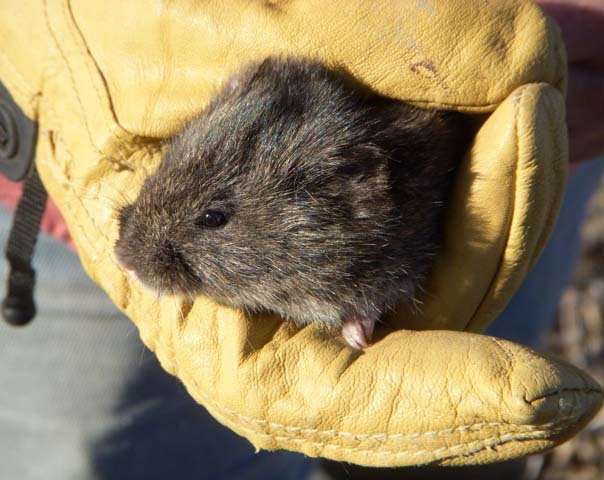 Read an article about how Shoshone Village is creating new habitat that will host voles in the years to come. 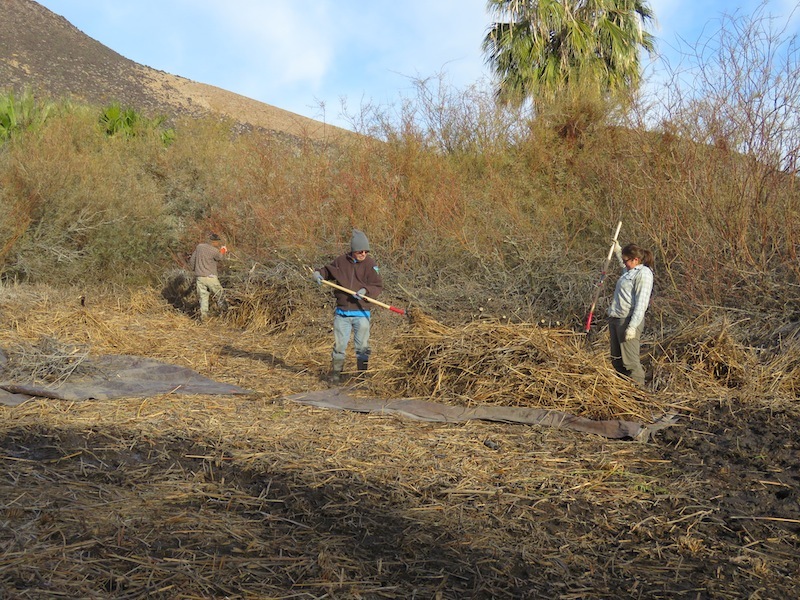 The Amargosa Conservancy is involved in constructing new habitat, raising threesquare bullrush for propagation, and much more. Find out what else on our project page. 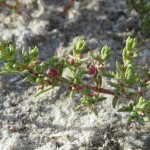 Niterwort (Nitrophila mojavensis) is a small, salt loving plant that grows in the Carson Slough at Ash Meadows National Wildlife Refuge in the Amargosa Basin. 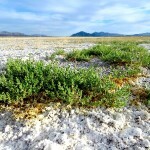 It inhabits moist and drying salt pans with alkaline, clay soil. 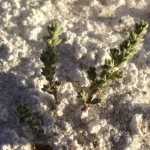 Niterwort is a halophyte, or salt-loving plant. Changes to groundwater levels due to pumping are the main threat to this plant. 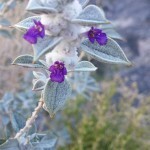 This sage has a narrow distribution, preferring the limestone mountains of the eastern Mojave, primarily in and around Death Valley NP. Some populations have been documented further south and west. 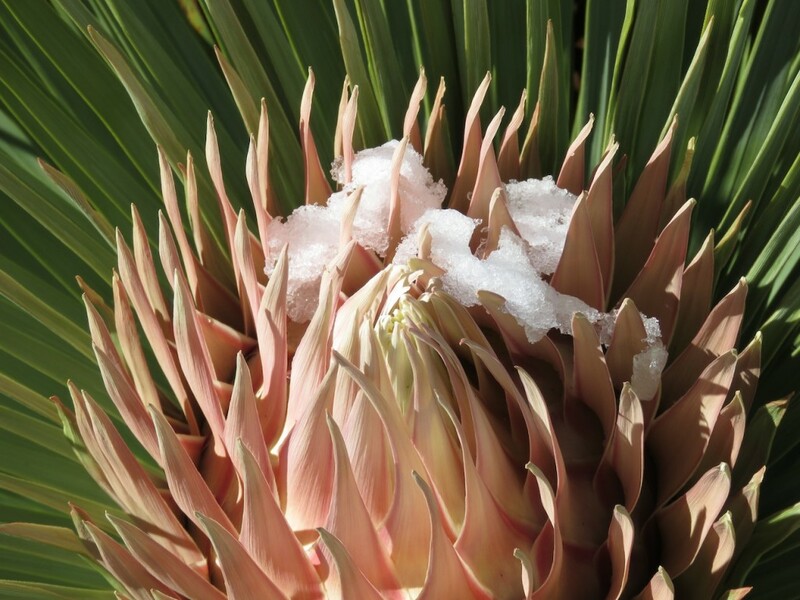 See the Jepson Herbarium for distribution. 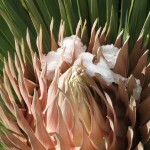 This beautiful shrub can grow up to a meter in height and is covered in tiny hairs which give it a “wolly” appearance. 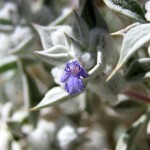 The tiny, purple flowers typically bloom in spring. 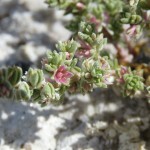 In its home on a limestone outcrop. The least Bell’s vireo is a small (<5in) songbird that lives and breeds in lowland riparian habitats, preferring those dominated by willows. 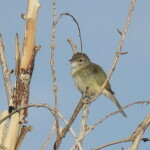 It is a subspecies of the Bell’s vireo and found primarily in California and Baja Mexico. 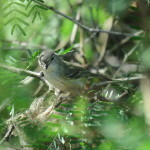 The least Bell’s vireo builds it’s nest in dense shrubbery in moist areas. 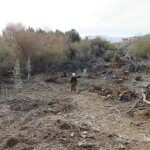 Though once abundant across California and Baja, loss of habitat and nest predation have led to it’s decline. At one point only 300 nesting pairs remained. That number has improved substantially, but the species is still in danger. 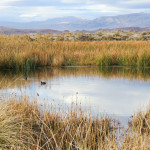 The wetlands of the Amargosa Basin are a breeding location for this small bird. Range Map for least Bell’s vireo. 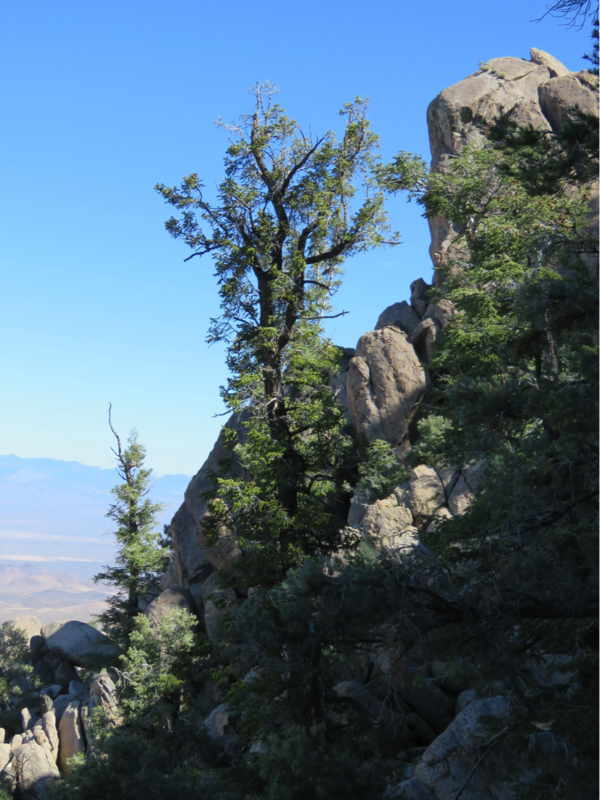 In the Kingston Range at the southern end of the Amargosa Basin is a collection of some hundred white fir trees, relics from a time when the species perhaps covered more areas. 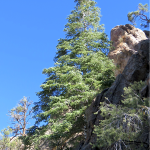 Most white firs can be found in the Sierra Nevada, or the transverse and peninsular ranges further to the west. 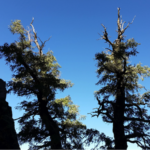 The trees are found on north facing slopes of the two highest peaks in the Kingston Range. 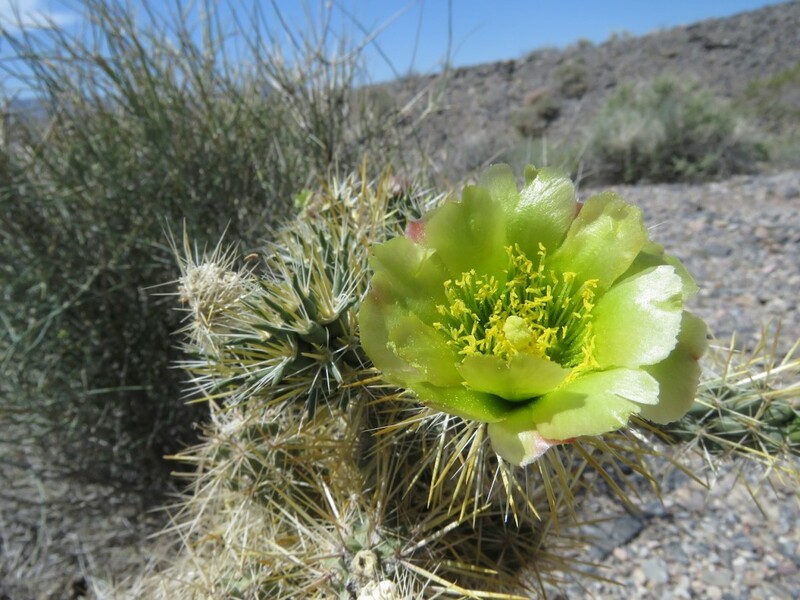 Little is known about the natural history of this disjunct population, so in late 2015 the BLM Needles office and the Amargosa Conservancy conducted some initial observations in the canyons. The results suggested a population of several times more than previously thought. There are at least 500 trees and perhaps even more than that. 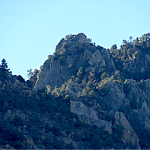 With their curling horns and ability to scale steep cliffs, these are the charismatic megafauna of desert mountains.